Irritable bowel syndrome (IBS) is a functional bowel disorder characterized by chronic abdominal pain, discomfort, bloating, and alteration of bowel habits in the absence of any detectable organic cause. In some cases, the symptoms are relieved by bowel movements. Diarrhea or constipation may predominate, or they may alternate (classified as IBS-D, IBS-C or IBS-A, respectively). 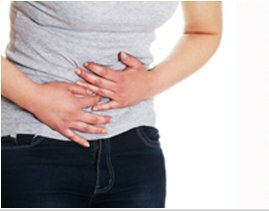 IBS may begin after an infection (post-infectious, IBS-PI), a stressful life event, or onset of maturity without any other medical indicators. Several conditions may present as IBS including celiac disease, mild infections, parasitic infections like giardiasis, several inflammatory bowel diseases, functional chronic constipation, and chronic functional abdominal pain. Inflammatory bowel disease (IBD) is an idiopathic disease involving an immune reaction of the body to its own intestinal tract. IBD comprised of 2 major disorders which includes Crohn’s disease and ulcerative colitis. These disorders have both distinct and overlapping pathologic and clinical characteristics. AyurVAID’s treatment model for IBD includes both internal medications and therapies, judiciously administered after assessing the patient’s individual clinical condition. The main aim of treating a IBD patient is to control the symptoms, maintain disease remission and prevent relapse. Significant reduction in symptoms and improvement in patient’s general health can be brought about by appropriate Ayurveda treatment.